We make a barrel-fermented and matured Chardonnay. Hand-farmed and picked, we harvest in September and October with a bottling in July. In 2010, we have also made a small amount of Chardonnay in stainless. 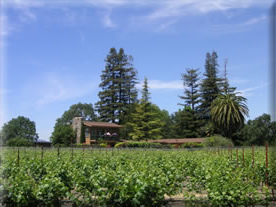 Napa Weka Ranch Vineyard on a spring day. 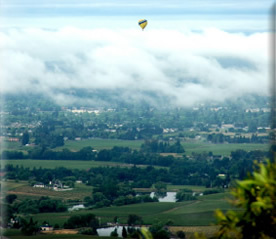 There are often several hot air balloons floating over the vineyard in the early morning. 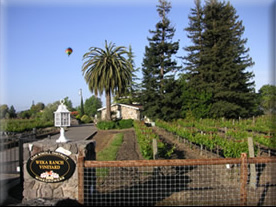 Our vineyard is about two acres all planted in Chardonnay. 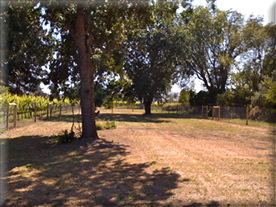 It is hand-farmed and the grapes are hand-picked in late September or early October. The vines are all Wente clone on St George and are between 20 and 35 years old.